The quest for Olympic gold is the search for the slightest leg up — small changes that could ultimately shave fractions of a second off of one’s time. It’s an ideal platform for a technology like 3D printing, where the ability to customize products can have a dramatic effect on their physical qualities. No surprise, really, that more teams are turning to technology for a leg up. 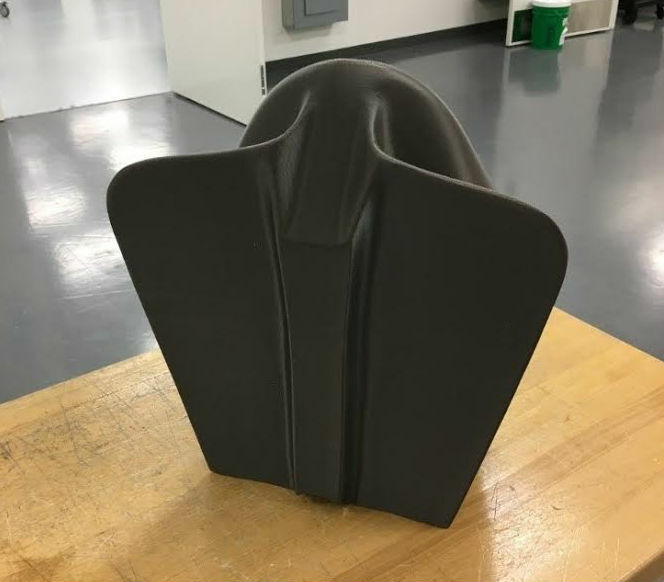 The United States’ luge team jumped on the bandwagon in the lead up to PyeongChang, enlisting the help of Stratasys to design a better sled. This week, U.S. Olympians Justin Krewson and Andrew Sherk will be riding sleds designed with help from the industrial-3D-printing giant. Stratasys applications engineer Dave Dahl tells TechCrunch that two former members of the team approached the company at the International Manufacturing Technology Show. The team created scans of the Olympians’ bodies and Stratasys created molds using its Stratasys Fused Deposition Modeling (FDM) technology. The company says the primary advantage in using the tech over more traditional molding methods is the ability to iterate at a much faster rate, letting the team try out a variety of different versions of a sled ahead of the big show. For now, the technology is only being used as tooling for the manufacturing process, but the company says it plans to start building 3D-printed sleds in time for the next Olympics.